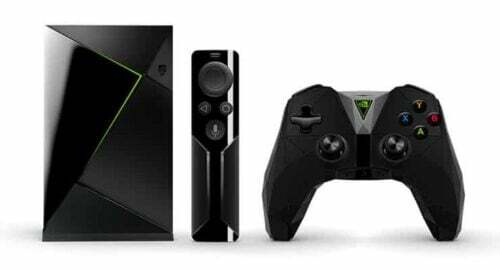 Cord cutting is a major trend in the home theatre PC (HTPC) space. With streaming services such as Netflix, Hulu, and Amazon Prime, it's increasingly feasible to cut the cord. But while most streaming services provide on-demand content, live television is a different matter. Sling TV as cable alternative is an excellent streaming service that provides live TV streaming. Learn all about channel lineups, DVR, and more in this Sling TV review. Sling TV review: Is Sling TV good? 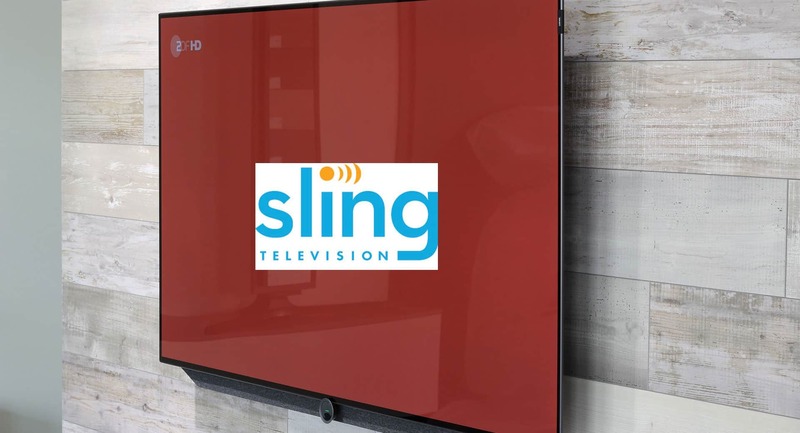 Sling TV as cable alternative comes in a few different options. There's the $20 a month Sling Orange package. For $25 a month, Sling TV offers its Sling Blue package. Or, $40 grants access to both the Sling TV Orange and Blue packages. Additionally, the Sling TV streaming service features addon packs. These vary from about $5 to $15 a month extra. 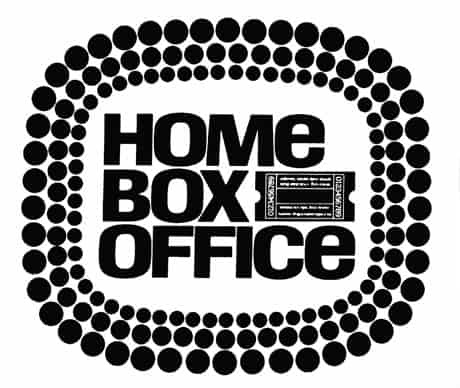 There's the Kids Extra package, Sports Extra pack, as well as Starz, Cinemax, Showtime, and HBO. However, Sling TV does come with its limitations. Notably, CBS isn't included. Whereas CBS isn't available via the Sling TV app, ABC is included. Its availability is contingent on the market. While Nick Jr. is a default Sling Blue inclusion, TeenNick and NickToons come with the Kids Extra addon. Surprisingly, Sling TV as cable alternative lacks the standard Nickelodeon channel. Furthermore, NBC and Fox are only on Sling Blue, not Sling Orange. Streaming sports is a main motivation for clinging on to cable or satellite television. Sling TV as cable alternative does feature a beefy sports streaming lineup. With the Sling TV app, there's access to ESPN, ESPN 2, and ESPN 3. However, the ESPN channels are only included on Sling Orange. Therefore, with Sling Blue there's little to no sports streaming overlap. Moreover, Sling TV provides local sports and national non-ESPN sports channels. 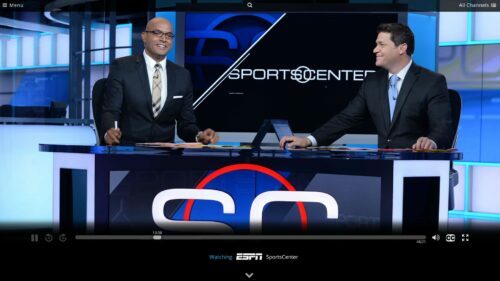 Although Sling Blue lacks ESPN, it features Comcast and Fox regional sports networks. Again, these will vary by region. At a national level, Sling Blue delivers NFL Network, NBC Sports Network, and Fox Sports 1. There's the Sports Extra package for Sling Blue which yields the likes of NFL RedZone, NHL Network, and NBA TV for an additional $10 a month. But for Sling Orange subscribers, the Sports Extra addon is a mere $5 a month. There's no RedZone. However, a few niche sports channels compensate for the lack of RedZone with the Sling Orange Sports Extra pack. Like a traditional cable subscription, the Sling TV cable alternative does provide premium channels. Game of Thrones fans will be pleased to know that HBO is available as an addon. The HBO extra is an added $15 a month. This is the same price as the standalone HBO Now streaming subscription. But the HBO Sling TV addon means HBO can be streamed in the Sling TV app. Further, the likes of Cinemax, Starz, and Showtime are also available as paid extras. A particularly excellent Sling TV feature is its comprehensive international streaming selection. Sling TV is a solid contender to YuppTV for the likes of Indian TV channel streaming. Unlike a traditional cable or satellite service, Sling TV does not come with a set top box. Instead, the users stream via the Sling TV app. There's fairly robust device support. On the streaming device side, the Sling TV app is available for Apple TV 4th gen, Amazon Fire TV players, Roku LT and up, Android TV, Chromecast, and more. For mobile devices, Sling TV app flavors include iOS 9 and higher, Android 4.4 and up, and Android 4.4.2+ for Amazon Fire tablets. The cord cutting trend eschews a reliance on live TV. As such, there is a Sling TV DVR. Additionally, the Sling TV DVR doesn't limit how long you can keep a recording. Yet, Sling TV as cable alternative does have a few catches with its Sling TV DVR functionality. 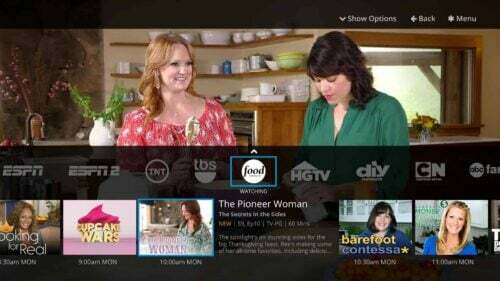 Although Sling TV is available on a smattering of platforms, Sling TV DVR is only available on Roku, Apple TV, Amazon Fire TV, Android, and Android TV devices. Plus, it's an extra $5 a month for DVR. While there's no limitation on how long you can keep a recording, Sling TV DVR does keep the cap at 50 hours of storage. The major kicker is that several channels like ABC, ESPN, and Fox don't allow recording. Sling offers an FAQ on its site regarding its Sling TV DVR program. On a related note, pausing and rewinding live TV is feasible. But there's a catch. Like its Sling TV DVR functionality, channels like CNN, TBS, and ESPN don't allow users to pause and rewind live TV. Password sharing among family friends is on the rise. Yet many services like Netflix put a limitation on the number of simultaneous streams. Sling Orange is capped at one stream at a time. Sling Blue ups the count to three streams. With the combined Sling Blue and Orange $40 a month pack, that's a total of four concurrent streams. Sports junkies will likely benefit from the sports package. Yet for local TV, Sling TV is a mixed bag. For CBS, you'll need to subscribe to the CBS streaming service which is separate from Sling. Additionally, the Sling TV DVR is a paid feature and still lacks compatibility with certain channels. While the Sling TV cable alternative is a viable option for cord cutters, it's slightly misleading with its slogan. Though Sling TV dubs itself “a la carte TV,” it's not quite fully a la carte. There are two and a half tiers: Sling Orange, Blue, and Blue plus Orange. Then there are all the extras. However, just like a traditional cable or satellite subscription. Sling TV still hooks you up with lots of channels you might not need. In this way, it's not fully a la carte. Nevertheless, Sling TV is a robust, pretty flexible cord cutting streaming service. It's not perfect, but Sling TV is a major step in the right direction for streaming TV. With the likes of Plex DVR and live TV support, as well as Android TV DVR functionality, cord cutting continues to rise. For mroe ways to stream content, check out the 10 best Android streaming apps for free streaming movies and TV. Ultimately, in my Sling TV review, I found Sling an intuitive service. For those seeking a cheaper option than cable, Sling TV as cable alternative may be. But as you can see from this Sling TV review, if you need a lot of channels the low entry cost quickly rises. What are your thoughts on Sling TV, and which streaming services do you recommend?